Scala Camping Kabardinka is located on Cape Doob. It is special resort area of ​​Kabardinka village, 12 km from Gelendzhik town and 7 km from the airport. The territory of 3 hectares is located directly on the Black Sea coast, adjacent to the famous Admiral Nakhimov monument. The name of the camping and its design originate from the rocky landscape where it is located («Scala» - means rock in Russian). 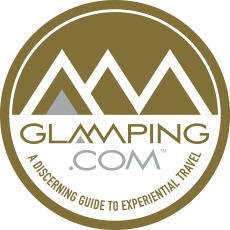 However, it is not a traditional tourist camping because it includes a 3 * hotel service and amenities. Scala Camping philosophy is to combine the seaside camping with comfort. Not many campsites in Russia today can offer their guests a similar level of service. Our attractive prices make our camp in Gelendzhik affordable for many tourists. Scala Camping is ideal for Family vacation. Scala Camping Kabardinka offers a fabulous view from any point of the rock which, perhaps, makes it one of the best camping places by the sea.